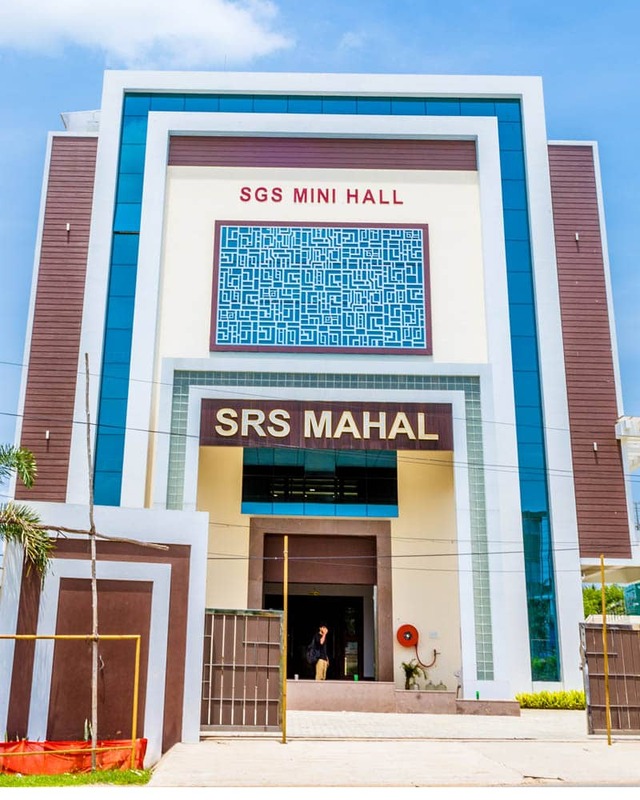 SRS Mahal & SGS Mini Mahal | Marriage Hall in Chennai GST Road ! Celebrate the New Chapter of your Life at our Mahal. We have the perfect setting at SRS Mahal located just 400 mtrs from GST Road, Urapakkam. Weddings are gracious, memorable and once-in-a-lifetime events that everyone looks forward to.A special event like Marriage-Union of Two Beautiful Hearts, should be held in a beautiful place that is equal to heaven. Your birthday is a refresher, a chance for regeneration–not just materially, but spiritually.On your birthday, gather with family and friends and celebrate the joy of life meaningful together. A corporate event is a gathering by a business for its employees, business partners, clients.Set the stage by beginning with a creative and powerful event theme.It’s a time to foster goodwill and to have fun. We provide an extensive know-how and planning for business, associations,hospitality venues, non-profit, amateur and professional sporting events, galas, wedding and social events.  Beautiful Front Elevation with Fountains and Landscape.  Amenities are excellent and incomparable. 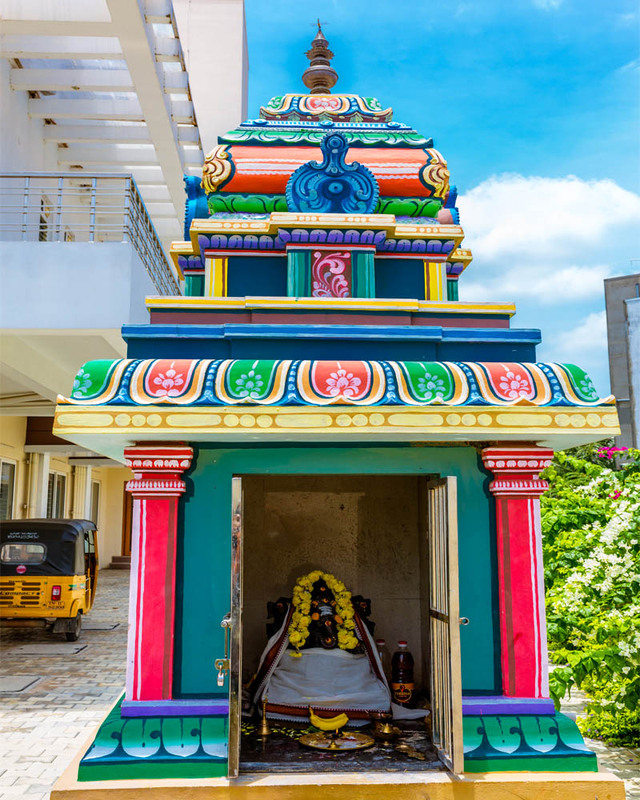 Lift, Centralized A/C, Ample Car Parking, Luxurious Modern Interiors with Granite & Marble Flooring, Modern Kitchen with sophisticated equipment’s like Steam cooking, Ganesh Temple available within the premises as per Vaasthu. Our professionals personally assist in customizing the set-up, venues, events and services to suit every need. Whether an exclusive high profile Wedding or an in-house conference for a hundreds, we have the perfect setting at SRS Mahal & SGS Mini Hall. The SRS Mahal offers a beautiful Hall that can accommodate around 700 People at a time. The hall is fully Air Conditioned for all the events. We have a dining hall at SRS Mahal that can hold up to 150 People in a service. There are 10 guest rooms with attached toilet. Rooms are well furnished and Air Conditioned with all necessary requirements. Both SRS & SGS Mahal Halls have standby generator facilities. This assures you an uninterrupted smooth celebration of the event. The SGS Mini Hall offers a beautiful Hall that can accommodate around 250 People at a time. The hall is fully Air Conditioned for all the events. We have a dining hall at SGS Hall that can hold up to 150 People in a service. There is large outdoor space available inside the Mahal area for Car Parking and can also accommodate more than 100 Bikes at a time. The hall is well equipped with 24 hrs CCTV cameras for the security purposes. 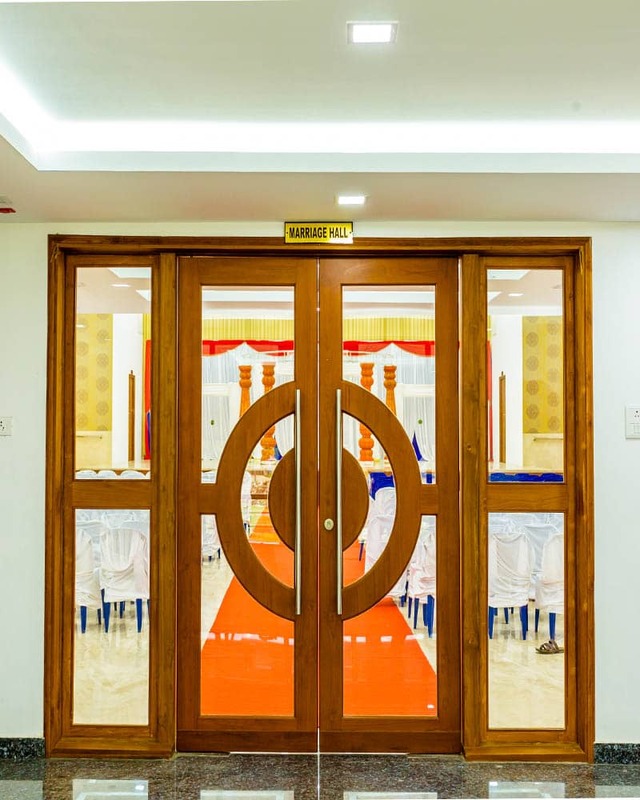 Like no other Marriage Halls the SRS & SGS has a special attention to peoples safety. Our Professionals help to make your Weddings memorable. Your Happiness is our Fulfillment..